Welcome to Wordscapeanswers.org. As the name of the website states, here you will be able to find all the answers to all levels of Wordscapes game. Wordscapes can be considered as one of the most popular word based puzzle games available for the people to spend time with. 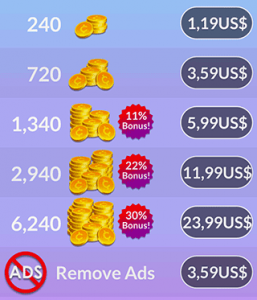 The unique game play style offered by Wordscapes has contributed a lot towards its popularity. The game has been here for quite a while, but the recently introduced updates have made it even more popular among people. In fact, this game now has the ability to provide a challenging exercise to your mind. The good news is that Wordscapes is FREE. There is no premium version of this game for which you have to pay. The other good news is that Wordscapes is available for Android and iOS devices. The bad news is that there is no version for Windows phone users, but is it really a bad news? When was the last time you saw someone have a Windows phone OS? Wordscapes can be considered as another puzzle game that has been developed by PeopleFun Inc. The company has been able to maintain a solid reputation by giving life to a variety of popular puzzle games such as MixTwo, Spell Blitz and Word Chums. It is possible for you to find the influences of those games on Wordscapes as well. Overall, it can be considered as a unique game, due to some of the features introduced. As a result, it is capable of delivering a one of a kind experience to the people. Wordscapes is a game that is equipped with an addictive gameplay nature. Therefore, you will never get bored while you are playing this game. You will get the interest to keep on playing. As a result, it would become a habit for you to spend your time along with this game. The concept behind Wordscapes is a simple one, which can easily be understood. All you have to do is to play the crossword puzzle, just like the way that you are playing any other crossword puzzle. Once you start playing the game, you will find it as a difficult task to put your phone down because of the interesting nature of the puzzles. The game has been provided with a beautiful interface by the designers as well. This has contributed a lot towards the addictive environment offered by the game. You will be able to begin your word hunt as soon as you start playing Wordscapes. 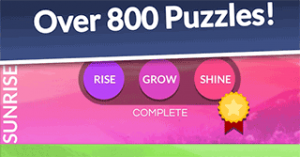 The game offers more than 800 different puzzles to you. All you have to do is to keep on playing them. The first few levels are simple and they will assist you to get hold of the game play nature. However, you will be able to experience the challenges that would come on your way, when you keep on playing Wordscapes and progress to the higher levels. As a result, it would become one of the most challenging word based puzzle games that you have ever dealt with as well. You will need to stay sharp in order to get through the game and win the challenges that would come on your way. If you stay sharp, you will find it as an easy task to end up with victory. Wordscapes is not a bulky game and it can easily be downloaded and installed on a variety of devices. Therefore, you should think about getting your hands on Wordscapes. You would love the intuitive interface that is offered to you by this game. Well for a starter you can use our website. Isn’t this why you are here?! Just browse through the above list and you will get all the answers. I am sure in the future some kind of App will be developed with the answers to all levels, but in all these cases, the its just some time consuming way of getting the answers. Sometimes new levels or categories might be added. In that case there are a few things you can do. For example you can use the coins you have won during solving all the previous levels. Or you might just buy some coins. We encourage you to get buy something. This would be very helpful to the developers of this wonderful game. This will also ensure that new categories will be added in the future. If you don’t want to spend money on coins, its OK. But at least pay for “Remove Ads”. This will give to the game creators some $ and you will not be annoyed but the ads. Its a win win situation. Word games are becoming so popular in the recent years. If you liked Wordscapes, you might also like similar games. First of all let me thank you for your visit. Since you are a fan of Wordscapes, maybe you can help us help you. Tell us what how we can improve our website. When can we add or do in a total different manner so it would be more user friendly. So do not be that guy who just takes what he wants and goes away. Leave us a message with you suggestions!